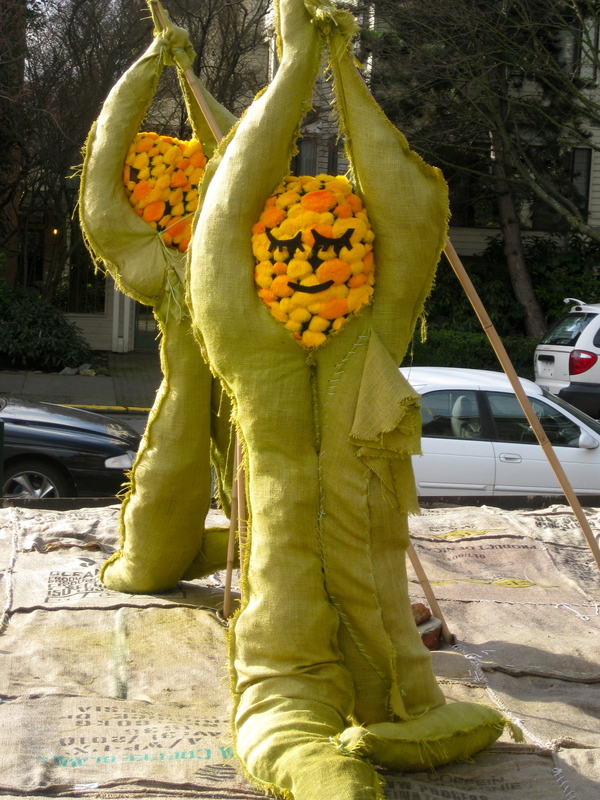 Peasful pods resting under a burlap quilt. 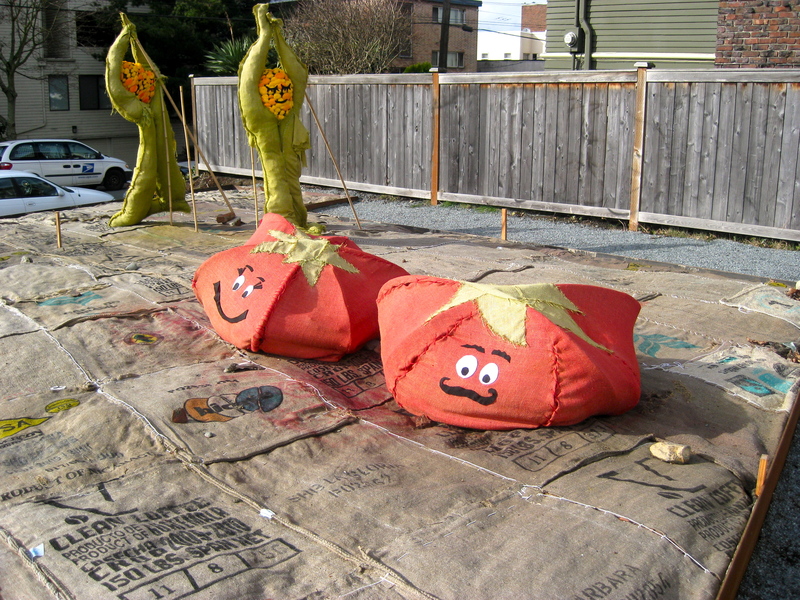 And happy (and mustachioed) tomatoes keeping an eye on things. This is a Seattle park on the corner of two busy streets. This .21 acre space used to be a parking lot, but in 2008 the Seattle Parks Department decided to turn it into a green space. 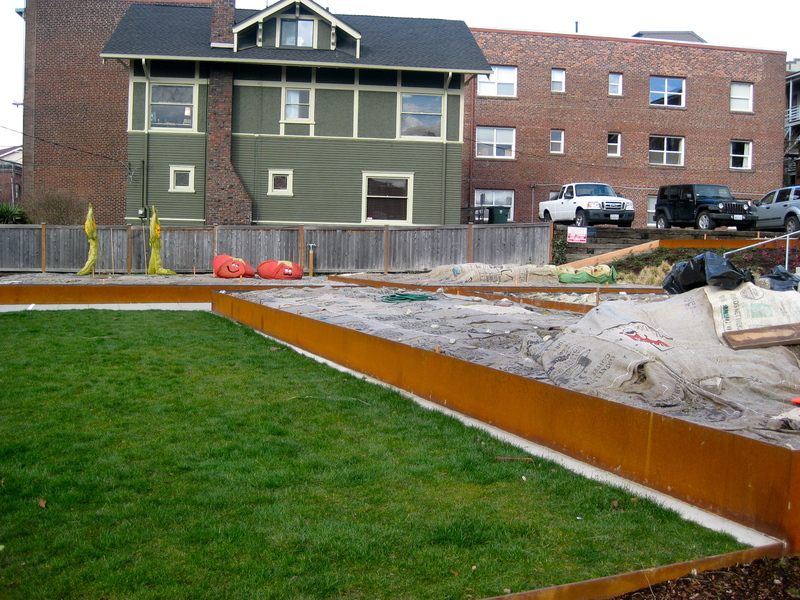 Unpaving Paradise, a project started by the Capitol Hill Community Council’s Open Space Committee, has done a great deal and continues to work to raise money and community involvement in the brand new park. The park has lawns, an area for skateboarding, and a P-Patch. 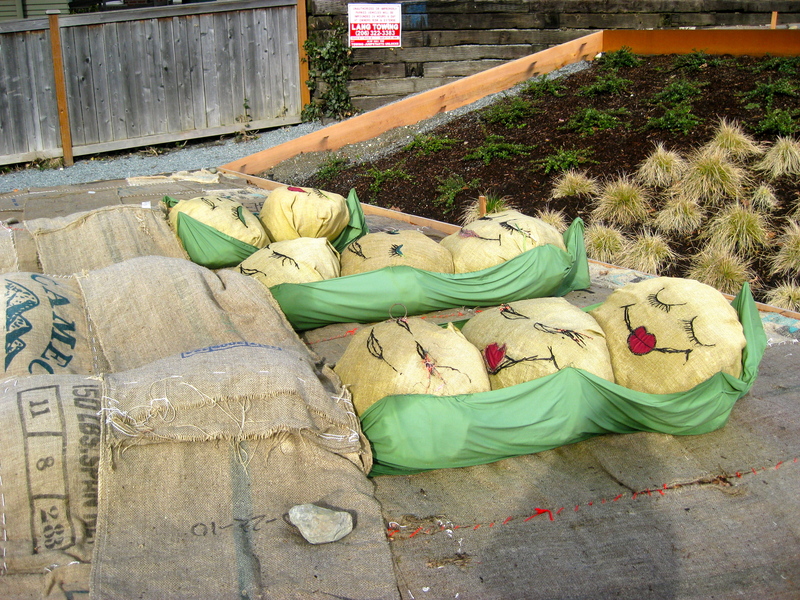 P-Patches are community gardens, and there are 73 of them in Seattle! You can read more about the Seattle Department of Neighborhoods P-Patch Community Gardening Program here, but here’s just some of what they do: grow community, practice organic gardening, feed the hungry, and improve access to organic, culturally appropriate, and local food! 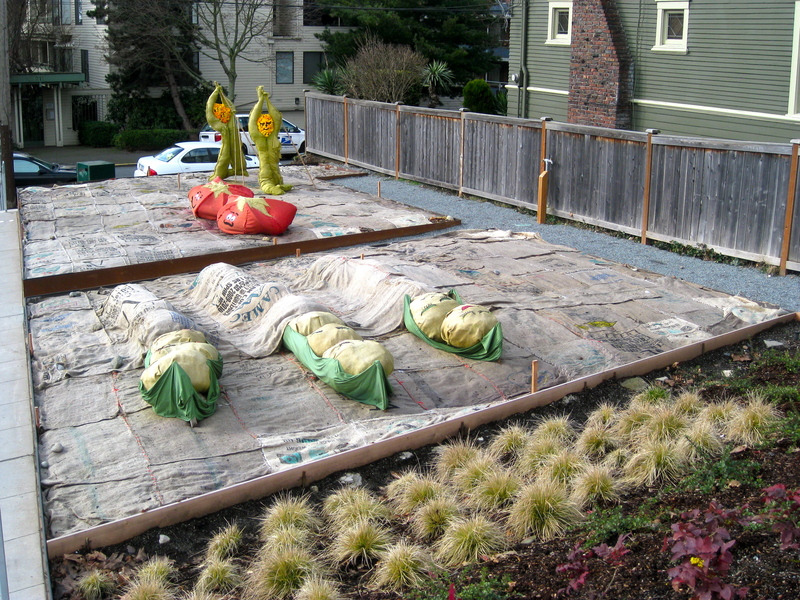 The P-Patch is under a coffee bean sack quilt for the winter, but I can’t wait to see (and be a part of!) how the garden grows once spring rolls around and we wake up those peas! This entry was posted in On the Farm and tagged community gardens, local food, organic gardening, p-patch, parks, peas, seattle, seattle p-patch, seattle parks, vegetables. Bookmark the permalink.